For many generation people have driven cars fueled by gasoline and that does not look like it is going to change in the near future. Yet as the demand for oil and it byproducts increase, it also seems clear that we are soon coming to a time when it will be difficult and expensive to acquire gasoline. So in spite of our reluctance, alternatives to the traditional car need to be found as quickly as possible. High torque electric motors that run on a renewable energy sources seem to be the wave of the future and need to receive serious consideration. Everyone from scientist to car manufacturers to the automobile drivers is paying attention to this option. The truth is, electric motors have numerous advantages over traditional cars. An electric car can be as much as 500% more efficient than its gasoline powered counterpart and can therefore use far less fuel. 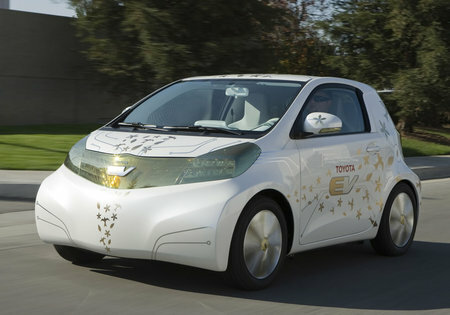 Another benefit is that an electric car emits far fewer pollutants into the environment and reduces greenhouse gases. The environmental benefit will increase as we continue to peruse renewable sources of electricity such as solar, water, and wind. Still another benefit of the electric cars is it is nearly silent, another huge advantage, particularly in cities where noise pollution is an issue. In addition to this they are both safe and easy to use. If you are good with electrical or mechanical work you may be considering the possibility of building an electric car for yourself. Doing this work for yourself would easily save you thousands and thousands of dollars over buying an electric car from the manufacturer. One very good option would be to convert your current car into a pure electric vehicle. While this is not possible in every case, it is quite often a good possibility. The first step is make sure you have the skills to take on a homemade electric car project. If you have worked on cars in the past there is a very good chance that you will be capable of doing this work as well. Even if you generally hire out you auto work you can likely still complete this task with the help of a good electric car conversion guide book. Comfort with the use of the tools you will need is the biggest thing to consider. In many ways, the design of electric cars is more basic than their gasoline powered counter parts. It is a good idea to familiarize yourself with their design and the way they work before you get started. There are a surprising number of do it yourself books and kits available for this conversion. These books and kits would also tell you what sort of tools you will need to have available. One important thing that they may not tell you however is that you are probably going to need another strong person handy to help you lift some heavy components. The average carport or garage will be plenty of space to do this project. Are you planning to do your own Do It Yourself (DIY) electric car conversion project? If you are, be sure to check out EV conversion guide by Gavin Shoebridge. Gavin is from New Zealand and is known as the EV Guy in the homemade electric vehicle realm. His guide comes with step by step instructions and High Definition (HD) videos on how to tackle an electric car conversion project. Click on the link below to visit Gavin’s web site right now. ==> Click here to visit Gavin Shoebridge’s web site!